Giving back as a beauty expert has been something that is very important to me. My beauty career began in high school when I was fortunate to be represented by the FORD Modeling Agency and on free weekends worked for H2O Plus. This post is not about my career achievements but about the women I am able to help through my artistry. I want to give everyone a little background on permanent makeup because it seems that there are a lot of misconceptions when it comes to this topic. I have to say that my main mission when I studied permanent makeup in Los Angeles was to see if I could make permanent makeup look more natural than what I saw on a weekly basis walking into my studio. I wanted to help women who needed help more on a medical level as a result of cancer, alopecia, scaring, cleft lip, etc. So, what is permanent makeup? Is it a tattoo? Is it painful? How long does it last? These are just a few of the questions I get on a regular basis. So let’s break down what it’s all about. What is permanent makeup? Permanent makeup is cosmetic tattooing. There are many different names used to describe this specialized technique from “micro-pigmentation” to “dermagraphics.” Permanent makeup is a technical skill of implanting colored pigments into the upper reticular layer of the dermis. Is it a tattoo? Yes. Is it painful? This all depends are your pain tolerance. I have had clients that have fallen asleep to clients that are a little more uncomfortable. I use topical anesthetics before the treatment and throughout the duration of the procedure. How long does it last? It will depend on your lifestyle, the products used and how you care for your permanent makeup. You should be able to get years of beautiful color out of your procedure. Permanent makeup procedures are a process. Every procedure that I perform has a follow up treatment. I wrote another post about how to find your permanent makeup technician you can read it here. Every time a client would walk in my studio with permanent makeup I would think to myself “Is that what permanent makeup is supposed to look like?” “Why does it look so unnatural?” “There has to be a way to make it look soft and beautiful.” So with this mind set and months of research I studied at the International Institute of Permanent Cosmetics (IIPC) and received my certification in basic and advanced permanent makeup. Below is an example of a recent client that is a breast cancer survivor. She had a double mastectomy and is currently in remission. I am so grateful that I have a talent where I can give back to women and help them on their journey. It is a powerful experience listening to these women during treatment and to hear what kept them fighting, hoping and praying through cancer. Each year I provide 20 procedures for cancer patients pro bono. I plan for ten areola cases and ten eyebrow stimulation cases. If you are a cancer survivor and would like to come in for a consultation, please contact the studio. I am working on a cancer beauty project that I will be announcing in January 2015. I would love for all of you to get involved with this and help me bring it to life for these women. I will need each and every one of you to make my idea come to life. 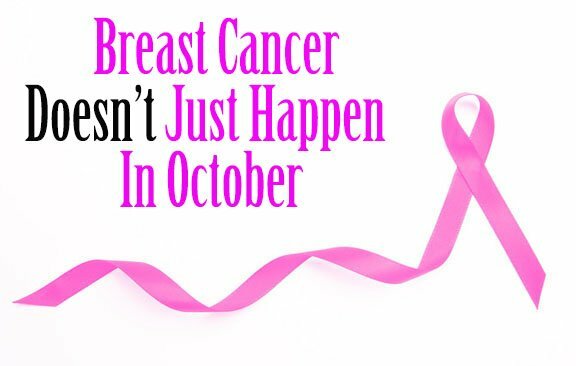 I hope this post breast cancer doesn’t just happen in october helps you know more about breast cancer.